ICA (Innovative Concepts Associates) was founded in 1986. Created to address the needs of retailers and manufacturers with a special emphasis in private label, ICA has provided consulting services for the full product-development lifecycle from inception to final sales with a special emphasis in R&D. In 1988, ICA established a Manhattan showroom/design studio with hand-knitting machines and looms, providing a unique showroom/studio experience that enabled clients to brainstorm creative ideas and see results within several hours. Resembling Chinese sampling facilities, the studio kept thousands of pounds of yarn on hand in every fiber, color, and count to create luxurious swatches and stunning garments. Since its inception, it has helped create and sponsor groundbreaking programs and products within diverse markets and lines of business. Driven by a diverse, multi-national team of designers and technicians, ICA developed an equally varied customer base, running the gamut from the budget-focused Popular Club Plan to high-end retailers including Saks Fifth Avenue and Lord & Taylor. Clients also included bridge designer lines such as emanuel, Finity, and Michael Seroy in addition to retailers and catalogues including Nordstrom, James River Traders, Bright’s Creek, Chico’s, Ann Taylor, Coldwater Creek, International Male, Jos. A Banks, and J. Crew. The company has created entire collections for internationally prestigious active wear companies such as Wimbledon Tennis, division of Old England Lawn and Tennis Club, and became a manufacturer both domestically and overseas for such key accounts as Pendleton and Country Road Australia. The company also regularly developed swatches, color stories, and fabrications for wholesale interior design fabric collections. With projects ranging from apparel and interior design, to fabric design and yarn development for multi-purpose functions, ICA quickly expanded its company vision while seeking new business opportunities, refining its client list, streamlining its operations, managing its sales and financials, and enhancing its corporate culture. While maintaining its foundational commitment to quality products for quality brands, ICA has become increasingly involved in promoting globally-focused, ethical business practices with its Bona Fide Fair Fashion™ initiative and Good Sourcing™ philosophy. Bona Fide Fair Fashion™ Program. Subscribe below and we will email you when more information becomes available. Bona Fide Fair Fashion™ Symposiums. 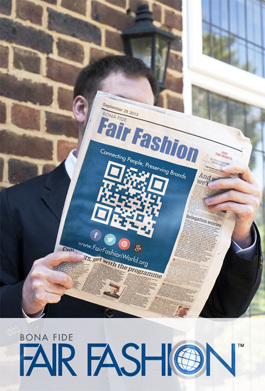 ICA (Innovative Concepts Associates) has become increasingly involved in promoting globally-focused, ethical business practices with its Bona Fide Fair Fashion™ initiative and Good Sourcing™ philosophy. Sustainable Sourcing. Practical Philanthropy. Conscious Consulting. Copyright © 2019 ICA. All rights reserved.